One of the best things I ever did for myself was accept the challenge to sew at least one garment every month just for me. When Flamingo Toes Bev and I started Sew Our Stash it was supposed to be fun and just a way to get us sewing more clothing and use up all the fabric we bought. But it became more than that. 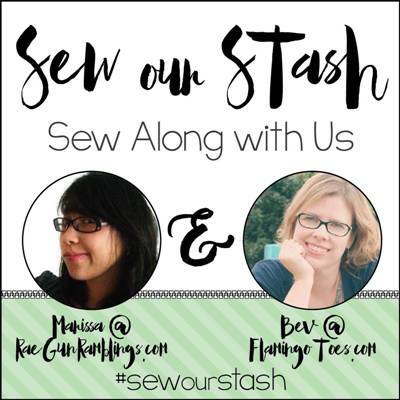 We are SO excited to be starting Sew Our Stash back up after a few months off due to the holidays, crazy life, and the time and hard work that goes into writing a book (Bev’s book is awesome you need to check it out). But we are back and committed and we’re inviting you to join the challenge! It’s SUPER easy to participate. There are lots of ways for you to take on the challenge. You can do all of them or just a few. You will get so much more than some new clothes. It’s hard to explain but taking the time for ME in that way, challenging myself to sew more for me was something magical. I got clothes I loved and wear all the time. I learned more about my body and what works and why. I learned new skills and techniques (it pushed my comfort zone in sewing). And it was awesome to have the focused time every month for a little selfish sewing. Want to see what I’ve made in the past? 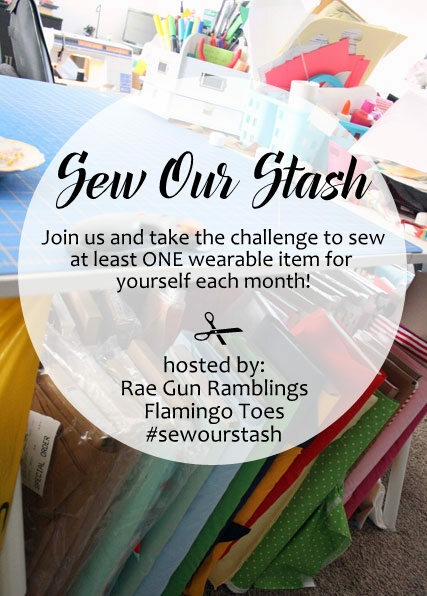 Here are all of my Sew Our Stash posts in one place. 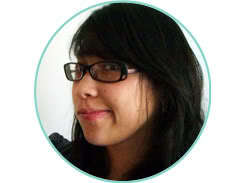 And be sure to take a peek at Bev’s too! 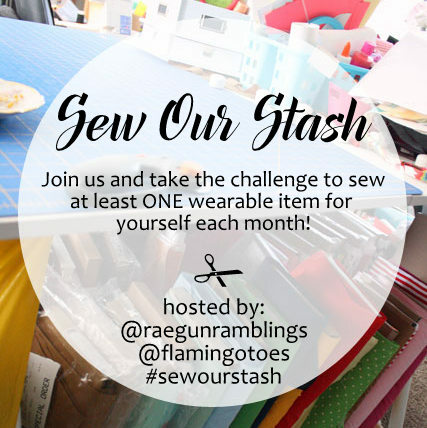 Okay, let’s meet back here on the last Thursday of this month and share what we made for ourselves and in the meantime remember to use the #sewourstash hastag!